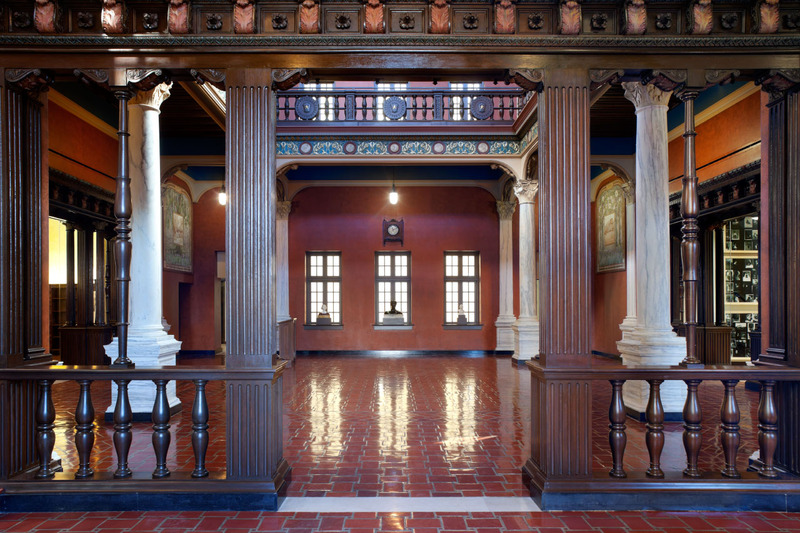 A Spanish Renaissance building in Houston gets a much needed restoration and is finally completed, according to the architect’s original intent, more than 80 years after the first stone was laid. 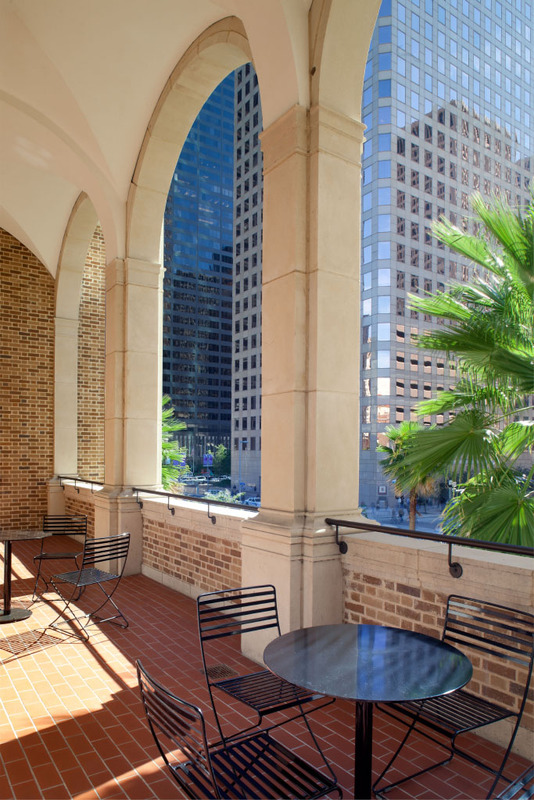 The Julia Ideson Building has been a Houston landmark since it opened in 1926. 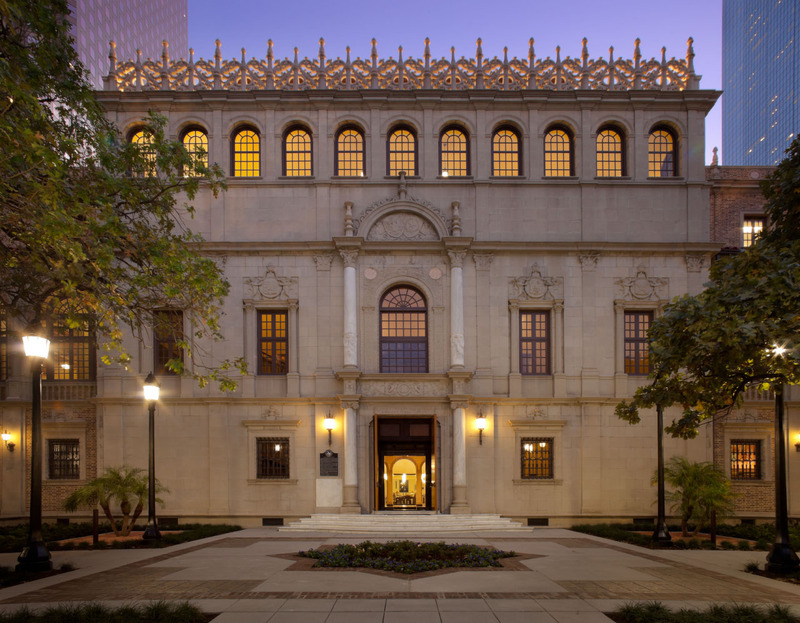 Designed by architect Ralph Adams Cram of the Boston firm Cram and Ferguson, the Spanish Renaissance structure served as the Houston Central Library until 1976 and has long been regarded as one of the city’s most prominent public buildings. The library’s first director, Julia Ideson, was also regarded as one of Houston’s most prominent citizens. When the book collection was relocated to a larger building, the Houston Public Library System's Special Collections division created the Houston Metropolitan Research Center (HMRC), which is responsible for housing historical documents and other archival materials, and the HMRC took up residence in the Julia Ideson building. By 2006, however, the need for additional space, as well as for major restoration work on the existing structure, was recognized. The City of Houston contributed funds to the project, and additional money was raised by the non-profit group Julia Ideson Library Preservation Partners. It was decided that a new south wing should be built to house the archival materials; a south wing had been included in the original Cram design but was never constructed due to budget limitations. Houston-based Gensler was selected to provide architectural services for the new addition, but Cram and Ferguson’s 1923 presentation drawings were used to inform design decisions. The finished wing features the same brown brick, red tile roofs, and cast stone trim as the original structure. It includes a loggia and a reading garden that were also specified in Cram’s original design. 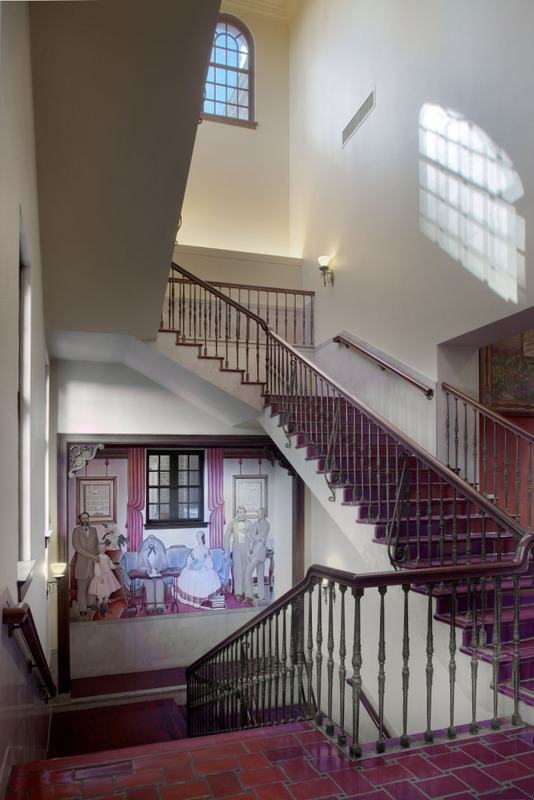 The four-story, 21,500 square foot addition houses a public reference room as well as event, meeting, and exhibit spaces. 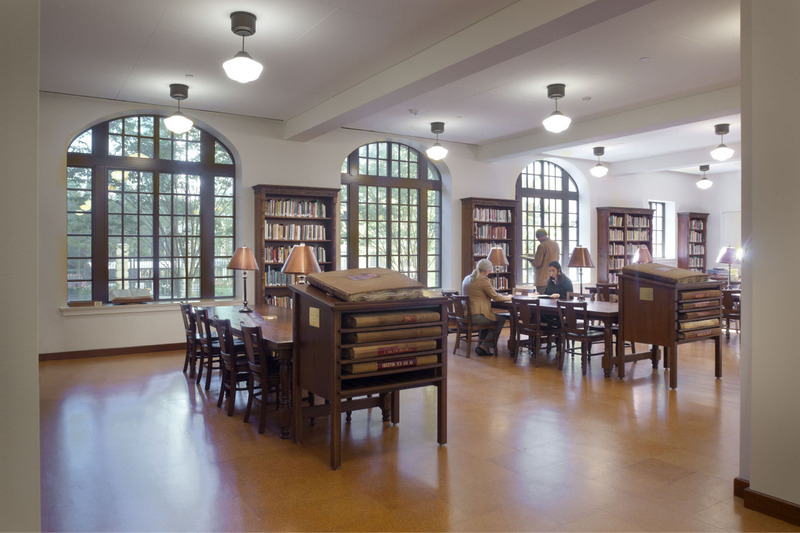 Upper floors are outfitted with climate-controlled, high-density archival storage and a rare book vault. The new wing also offers improved security, with separate elevators for staff and members of the public. The original five-story, 66,000 square foot building will once again serve as a public library. Many of the original furnishings and functions will be reintroduced; the historic Texas Room will once again become a public reading room. A new roof was installed. Missing cast stone trim pieces were replaced. 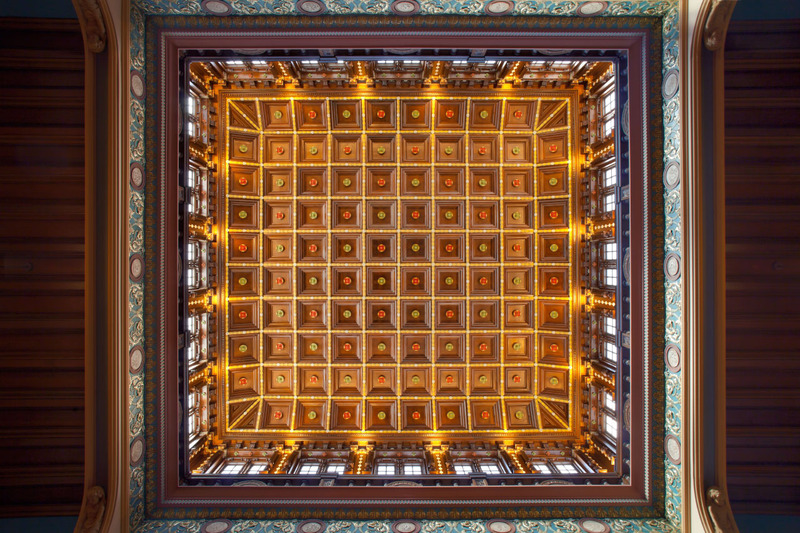 Painted interior coffered ceilings were restored. Historic light fixtures were rewired; new lighting consists of reproduction fixtures that complement the preexisting ones. 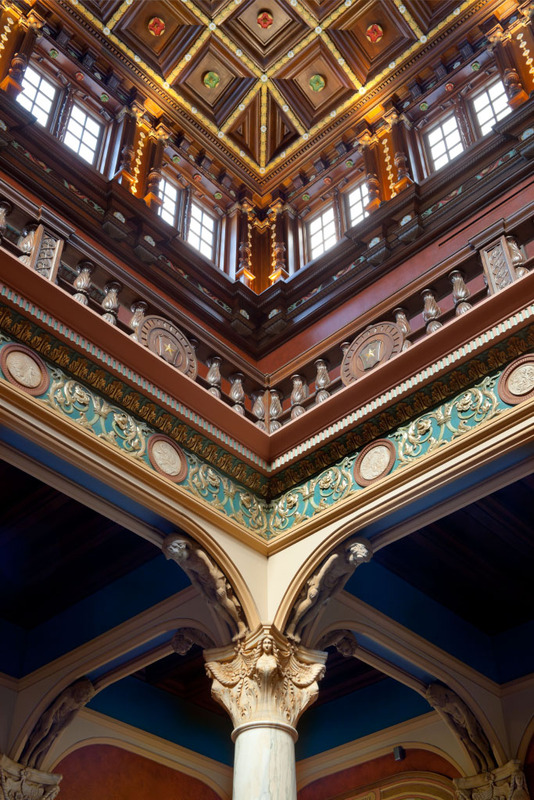 Ornamental metal work and other original decorative elements were restored. 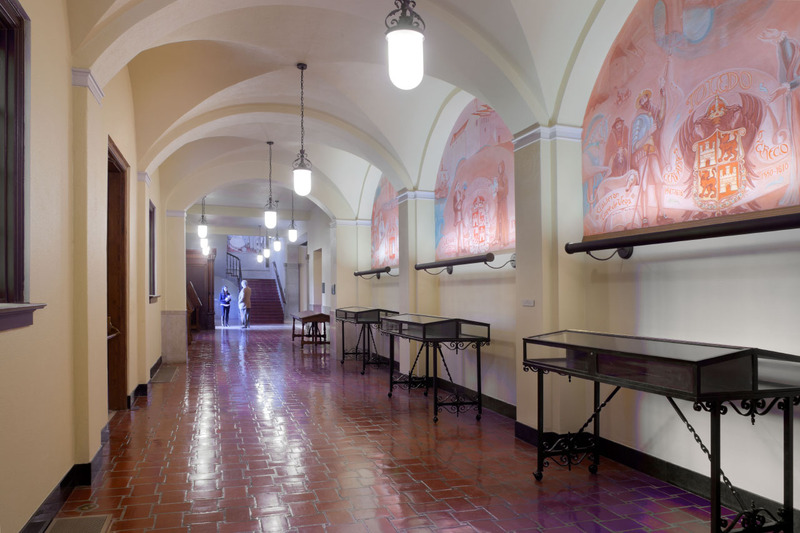 The library’s extensive installation of public murals (which date from the 1930s Works Progress Administration) had lighting installed. Other original art was brought out of storage and refurbished, and much of it was re-hung in its original location. Floors were repaired and refinished. 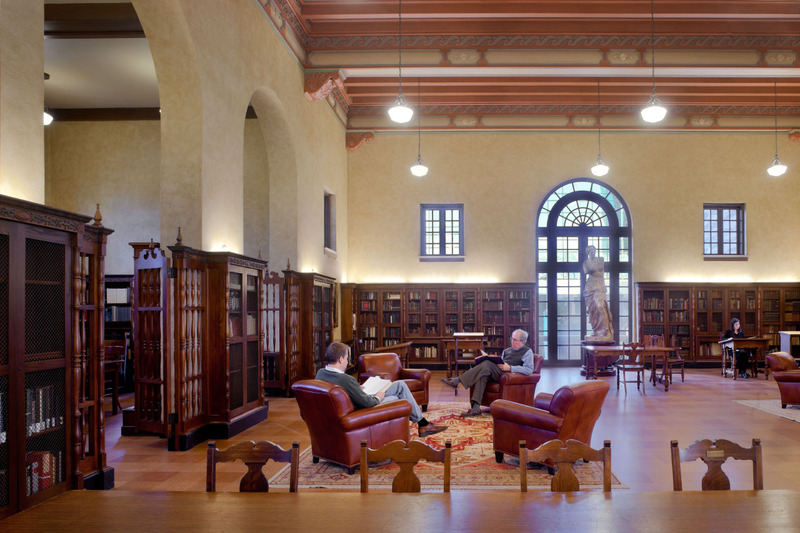 The library is also expected to achieve LEED Silver certification – a distinction few Texas Historic Landmark projects have achieved.